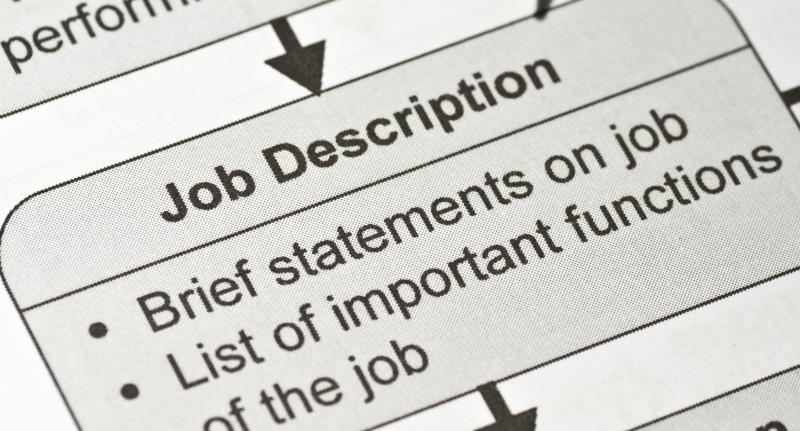 Did you know there’s a big difference between a job profile and a job description? Read on to find out what the difference is so you can get the most out of your employees. It’s up to you to ensure your employees know what’s expected of them. The starting point in doing this is having a good understanding of job profiles and job descriptions. What is a job profile? The Labour Law for Managers defines a job profile as the deliverables of each job to help your employee carry out the duties required of his position. It includes information on the job parameters, and describes what employees should deliver. Job profiles describe the end-state deliverables or outcomes of a job rather than all the activities employees need to carry out to get there. Essentially, job profiles identify the value of the service an employee provides to your company. A job profile would also go on to describe the level of performance considered acceptable for each of the deliverables. No complaints are received regarding communication style or content. A job description outlines the parameters of a job, for example, a summary of the job, the resources required to perform the job, the size of the budget, and the reporting structures. A job description also summarises the responsibilities and activities the person will undertake, for example, manage people, do stock takes, compile monthly reports. The focus of the job description is activity-based. 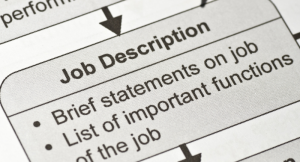 The key difference between a job profile and a job description lies in the focus of the descriptors. Job descriptions can’t ensure adequate performance levels. For instance, a caller may still not be put through to the correct extension even once the receptionist has answered the phone. The activity itself doesn’t guarantee the desired outcome. On the other hand, job profiling focuses on the deliverable or outcome, for example, professional communication ensured. It defines the required standard for each deliverable, for example, calls answered within three rings, callers directed appropriately first time, messages accurately recorded, etc. These standards are called evidence of competence because they describe how the output is done competently. Remember, the key focus of a job profile is to ensure the end-state deliverable is achieved – to the required standard – rather than focusing on the activity. Well there you have it. Now that you know the difference between a job profile and a job description, make sure you develop comprehensive job profiles to make sure you get the most out of your employees. Next Next post: Do you know how to test your employees for alcohol abuse?